Matthew Goode doesn’t usually get cast straight off the bat in prestige dramas, but he sure knows how to make an interest in later seasons. After late-in-the-game castings for Downton Abbey and The Good Wife, Goode is returning to his classy Brit comfort zone (see Downton and The Imitation Game) with a major role on Season 2 of Netflix’s pricey prestige drama The Crown. Goode will be playing Antony Armstrong-Jones AKA Lord Snowdon AKA Princess Margaret’s eventual husband of nearly two decades. Season 1 focused on Vanessa Kirby’s Princess Margaret and her struggles with marrying whoever she wanted whenever she wanted, only because her chosen beau was divorced which was highly frowned upon at that time. British Royal Family buffs know that by the time Princess Diana and Prince Charles split, divorce was much more acceptable (if still not the best option) which stemmed almost directly from Margaret’s messy fallout from her own marriage. Kirby proved that she can perform the heck out of heartbreaking, joyous, and tragic scenes and with this addition to the cast it’s all but confirmed that she will have to do the same again in the upcoming season. 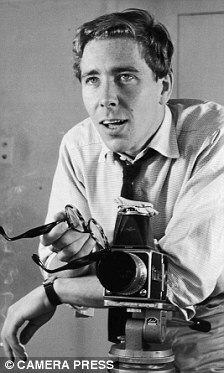 In real life, Lord Snowdon only recently passed in early January 2017, so Goode has a long and eventful life from which to study and use to base his performance.